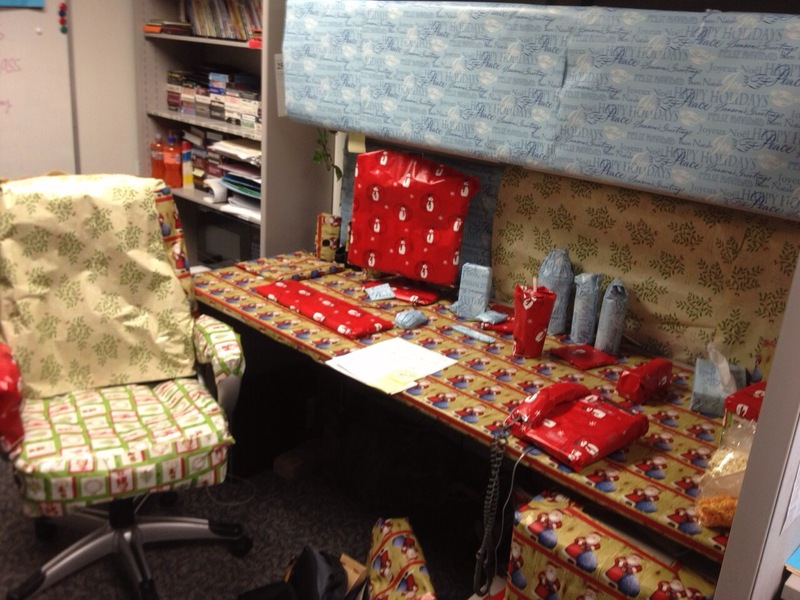 Everything on his desk and around his area was wrapped in wrapping paper. Pretty clever and funny! We did that to a coworker one year. It was hilarious. It took him most of the day to unwrap everything. We wrapped EVERYTHING individually; pencils, pens, etc. Yeah, this is Corom, I plan to leave everthing wrapped as long as I can. That way my co-workers get annoyed!